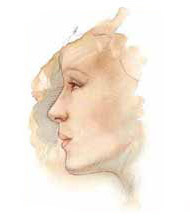 Rhinoplasty is an operation to improve the shape and size of the nose so that it is in harmony with the rest of the face. Rhinoplasty is essentially a surgical sculpting of the nose and is accomplished by careful contouring of the bone and cartilage giving the nose its shape. At the same time deformities that cause breathing problems and some sinus disorders can be corrected. 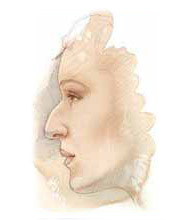 Most incisions (seamless rhinoplasty) are placed inside the nose where they are least visible.